Many cats and dogs associate travel with negative experiences such as a trip to the vet or kennel. 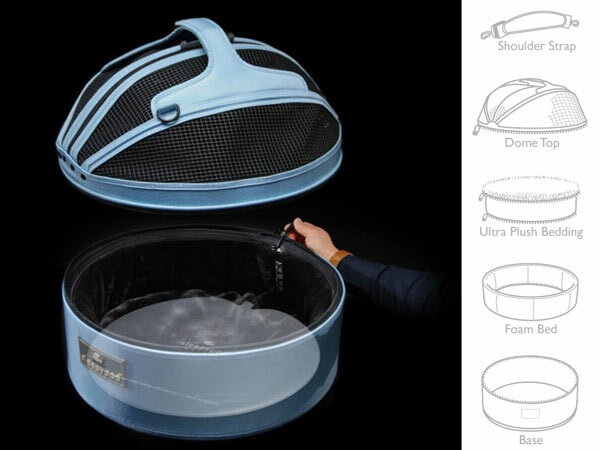 Sleepypod mobile pet bed allows a pet to travel safely in the comfort of its own bed, thereby reducing travel-related stress because the Sleepypod is already a trusted part of its everyday life. - Sleepypod mobile pet bed has been crash-tested and certified by the Center for Pet Safety for pets up to 15 pounds. The Sleepypod is more than a pet bed, more than a carrier or car seat: it's a lifestyle. It's your pet's personal space, designed to fit his/her individual needs. 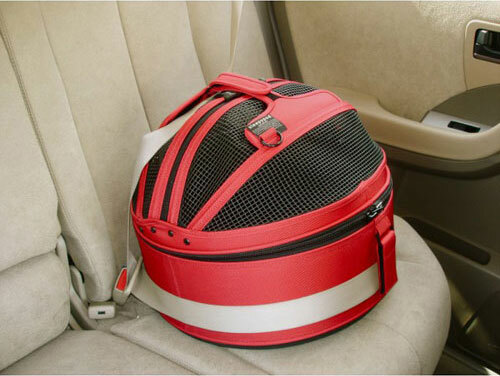 The beauty of the Sleepypod luxury pet carrier is its versatility. A dog that needs to be aware of his surroundings at all times can be just as easily accommodated as the cat who likes her privacy. When the temperature outside drops; the Sleepypod Warmer Kit can be installed in the pocket in the under the Ultra Plush Lining and for the opposite time of year the Sleepypod Air Mesh Lining replaces the Ultra Plush to keep your pet cool. The Sleepypod Mini was created with the active, small pet owner in mind. 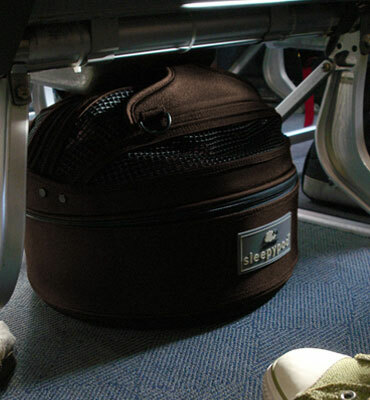 It has the same stress-free travel versatility as the larger Sleepypod with an added ability to fit under an airline seat. The Sleepypod Mobile Pet Bed Carrier was the first of many crash-tested safety products designed by Sleepypod. Check out Sleepypod’s crash test video below. Click the button below to add the Sleepypod Mobile Pet Bed Carriers to your wish list.